1. Preheat oven to 375 degrees F. Lightly coat twelve 2-1/2-inch muffin cups with nonstick cooking spray; set aside. In a large bowl, stir together all-purpose flour, whole wheat flour, wheat germ, pumpkin pie spice, baking powder, salt, and baking soda; set aside. 2. In a medium bowl, combine egg, pumpkin, buttermilk, applesauce, brown sugar, and oil; add pumpkin mixture all at once to flour mixture. Stir just until moistened. 3. 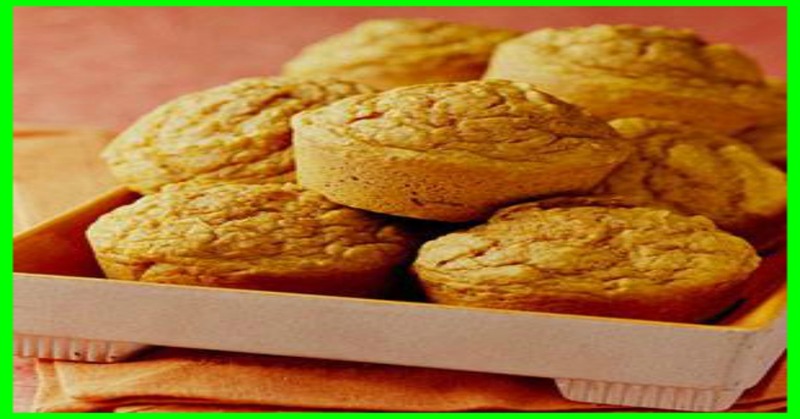 Divide batter evenly among prepared muffin cups, filling each about two-thirds full. Bake about 25 minutes or until golden brown and a toothpick inserted near centers comes out clean. 4. Cool in muffin cups on a wire rack for 5 minutes. Remove from muffin cups; serve warm.